Cycle World is the veritable source for all information that you would ever need on cycling or cycles for that matter. Buy a single copy or subscription to Cycle World magazine. For aficionados of motorcycles, this is the perfect magazine to consult. This magazine will also enable you to make an informed decision in case you want to get yourself a motorcycle- you will get interesting articles on the latest cycles including custom made ones, and the best cycling gear, and exactly what to get for your different cycling expeditions. This is the best magazine for fans of professional cycling. Through Cycle World magazine one can keep oneself updated about the major events in the world of cycling. All the information that you will ever need when it comes to buying a cycle is right here in this magazine. You can choose a cycle depending upon your level of skill, and you can even get a cycle customized for yourself according to your specifications. From technical reviews to interviews of the top cyclists in the world, to exclusive features on customized articles, Cycle World is the perfect magazine for you. Cycle World magazine will enable you to get a good idea about what kind of gadgets to invest in, and what kind of gadgets to not invest in. 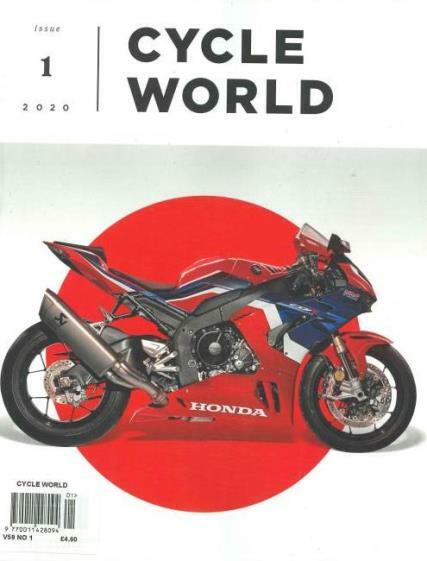 This magazine constantly strives to keep the readers updated on new technology in the world of motorcycles.